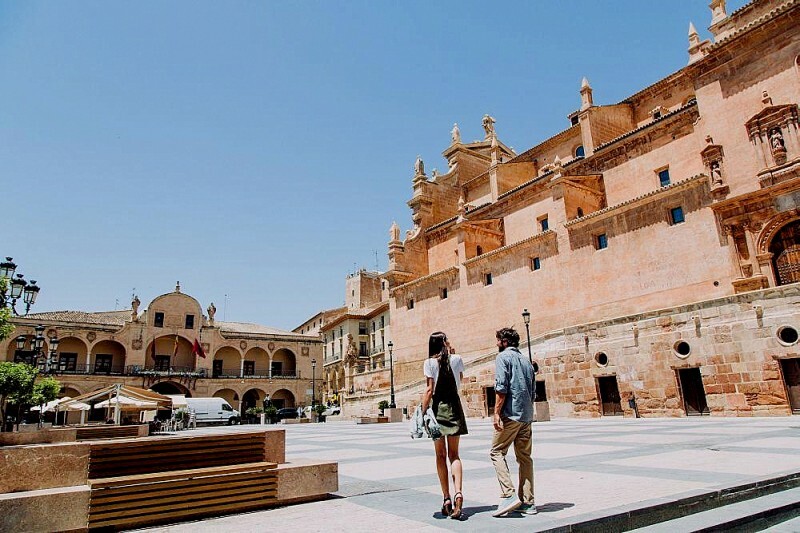 The Plaza de España is the main central square in Lorca, and is surrounded by various of the oldest, largest, most important and most impressive buildings in the historic city. Chief among these are the Town Hall, or Casa Consistorial, which dates from the 18th century, and the former Collegiate Church of San Patricio, which was built over a period of centuries and has recently been renovated following the damage suffered during the earthquakes which hit Lorca on 11th May 2011. Other buildings alongside the square include the Casa del Corregidor, now home to some of the courts of Lorca, and the Pósito de los Panaderos, which used to be the daily bread and meat market in medieval times but is now home to the municipal historical archive. At the eastern end of the square are the chapter rooms of San Patricio and the main tourist information office in Lorca occupies the Casa de los Poutous (1781), providing a variety or architectural styles which all somehow blend together to create one of the most impressive squares in the whole of the Region of Murcia. 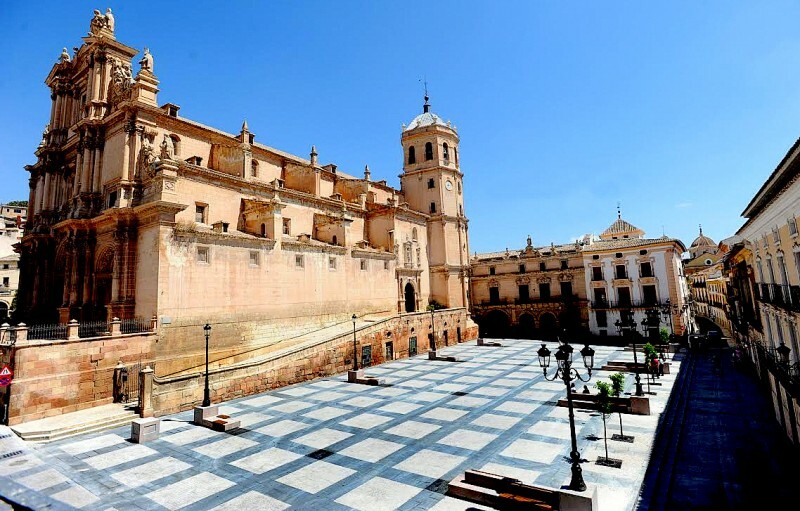 This part of Lorca also contains two smaller side squares, the Plaza del Caño and the Plaza de Belluga, previously known as the Plaza de Adentro, and the tourist office periodically offers tours of all three squares. In 1670 the royal prison was built, later to become the home of the Concejo (or city council) in the 1750s, while the church of San Patricio gradually took shape between 1533 and 1710. The chapter rooms followed in 1741, and privately owned buildings flanked the southern edge of the square. But there have also been developments in the square itself: in 1583 a monumental fountain was sculpted by Pedro Alcalá Moreno and installed in the centre, and this was not removed until 1816, while various other monuments have come and gone over the centuries. In 1864, one of these was erected in honour of Queen Isabel II, and after the end of the Civil War in 1939 another paid homage to the Sacred Heart of Jesus. But this was removed in 1970 and the figure of Christ was relocated to the cloister of Las Siervas de María. Another fountain appeared in 1943, lasting only until 1954. 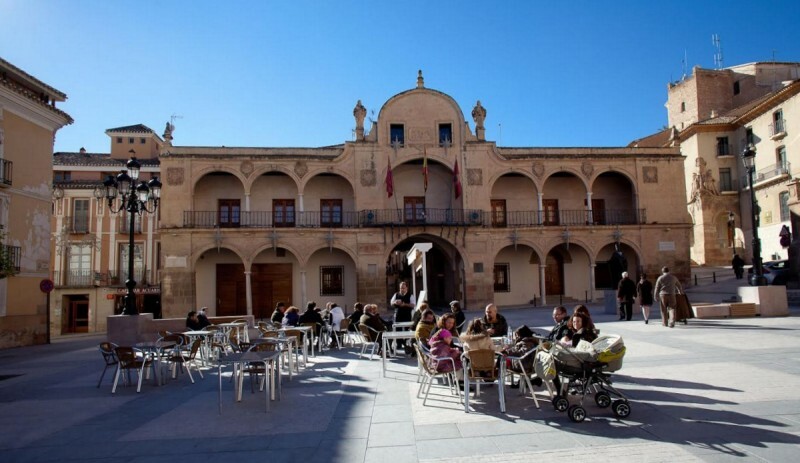 The name of the square has also changed over time, and it is still commonly referred to as Plaza Mayor or Plaza de Afuera, the name by which it was known in the 16th century. In the 19th century other versions included Plaza Real and Plaza de la Constitución, reflecting the alternating nature of monarchy and republicanism in Spain, but since 1939 the official name has been Plaza de España. As well as being a popular meeting point for both locals and visitors, the square is often used for open-air concerts and other cultural events.